To address the developmental needs of preschoolers, we provide activities that allow them to meet with success. 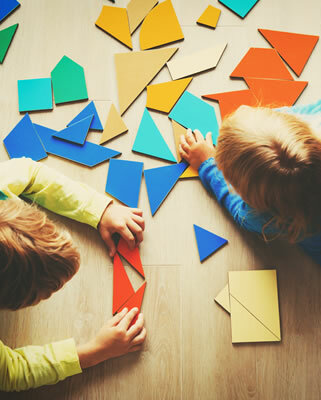 Preschoolers build self-confidence with activities like reading, building with blocks, housekeeping and dramatic play, art, science, music, and movement. We challenge our preschoolers without overwhelming them by playing a coaching role. Children are encouraged to explore by utilizing our learning centers to foster socialization skills, self-esteem, and interactive language abilities.